In 2009, when Los Angeles’ last city park is closed to the public, a dispossessed man -- and the duck who follows him as a mother -- quest west, on foot, in search of water and meaning, in the desert that is L.A.
ARTHUR is a retired history professor who has outlived his time and place, friends and family, resources and reasons to live. 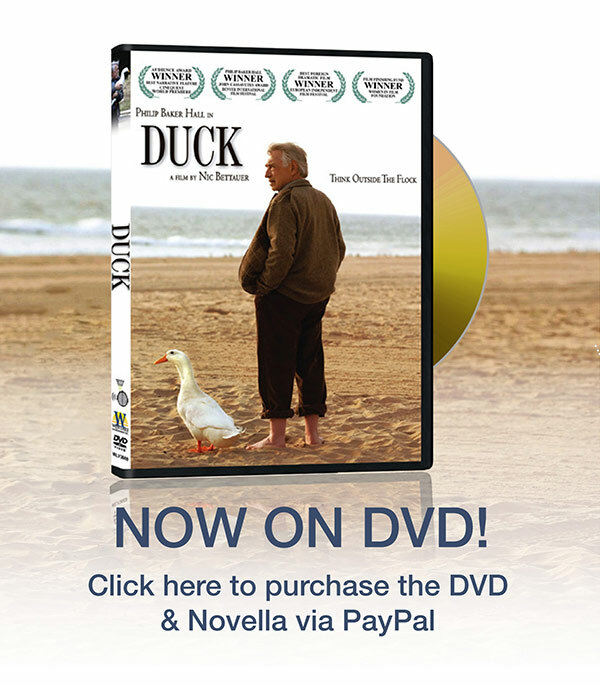 In the park where his son and wife are buried, Arthur contemplates putting an end to his life, when he is confronted by an orphaned duckling, who has just escaped death. Arthur coins this duckling Joe. Joe follows Arthur, the only mother he knows. When their park is landfilled and their pond is drained, Arthur and Joe engage in a Sisyphean struggle to survive, seeking a means to live, a place to live, and a purpose to live, in a world where their lives are not valued. In their search, Arthur and Joe encounter a host of strangers -- some hostile, some helpful, some harmful, some hapless, some heroic -- until finally forming a community and a home. If we are but six degrees of separation from one another, are we as few to being alone?